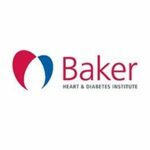 The Baker Heart and Diabetes Institute is an independent, internationally renowned medical research facility. Our work extends from the laboratory to wide-scale community studies with a focus on diagnosis, prevention and treatment of diabetes and cardiovascular disease. We are seeking a motivated and enthusiastic Dietitian to join our Allied Health and Education Services department. The Allied Health and Education services encompasses client education in clinics and group programs, health professional training, consultancy, project management, health promotion and research. To provide client education sessions both individual and group education in accordance with relevant policies, procedures and lesson plans. Deliver and evaluate comprehensive nutrition education programs for clients in the community. Maintain accurate and timely records and data entry for internal and external reporting, including patient records, letters, appointments, services and weekly statistics. Provide health professional training sessions and participate in the planning, implementation and evaluation of professional education programs and seminars. Accredited Practicing Dietitian (APD) qualification. At least 1-2 years post graduate experience in clinical healthcare setting. Experience in diabetes including type 1 diabetes, type 2 and gestational, cardiovascular disease and obesity nutrition education. Experience in supervising tertiary dietetic students. Current working with children check license. Remuneration will be commensurate with the successful candidate’s qualifications and experience. Applications should include a current resume with details of 3 professional referees quoting reference (SM01). To be eligible to apply for this position you must have an appropriate Australian or New Zealand work visa. For a position description or further information, please visit our website at: www.baker.edu.au. The Baker Institute is an Equal Opportunity Employer and we welcome interest from Aboriginal and Torres Strait Islanders for roles within the Institute. We value diversity and gender equity and are a proud recipient of an inaugural Athena SWAN Bronze Award from Science in Australia Gender Equity (SAGE).